Its currency is plummeting, unemployment is rising, its stock market is down 20% from a year ago and its president, Dilma Rousseff, has an 8% approval rating -- the lowest since 1992 when Brazil's president was impeached. 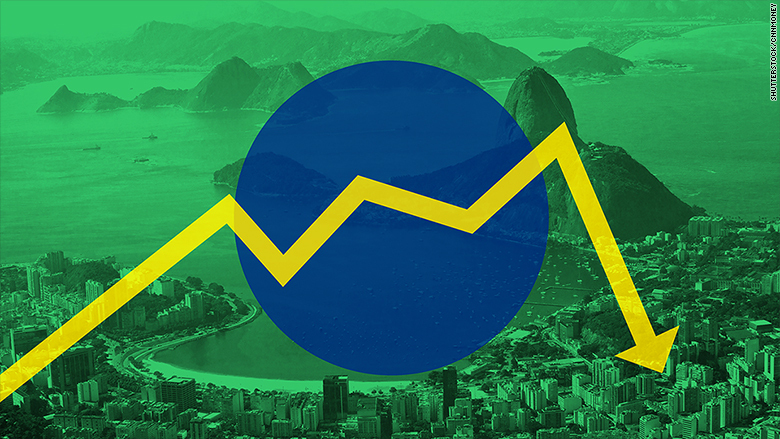 Once a major economic success story, Brazil sank into recession on Friday. Its economy contracted 1.9% in the second quarter compared to the first. It was the second consecutive quarter of contraction. "Pretty much everything is turning down," says Neil Shearing, chief emerging market economist at Capital Economics. Compared with the same quarter last year, its economy shrank 2.6%, by far the worst performance in years, according to government statistics published Friday. 1. Brazil's exports to China had exploded over the last decade. Now that China's economy is slowing, it needs fewer exports from Brazil. 2. Brazil's state-run oil company, Petrobras, is in a massive corruption scandal tied to many members in Rousseff's political party. The large money-laundering scandal spans across oil, business and political leaders in the country. 3. Prices for all of Brazil's key commodities -- oil, sugar, coffee, metals -- have tanked. Commodities are the engine behind Brazil's economy and they've lost value fast. The recession comes as Brazilians are holding mass protests calling for Rousseff's impeachment. Although corruption isn't new in Brazil, the scale of the Petrobras corruption is large. Petrobras officials said earlier this year that the company lost $2 billion just in bribes. In July, the scandal worsened: Brazilian police arrested executives at the country's electric utility, Electrobras, with charges related to money laundering at Petrobras. As investigators dig deeper, they're finding more and more officials at other agencies tied to the corruption case. While it's just one corruption scandal, it's reach has eroded business confidence. 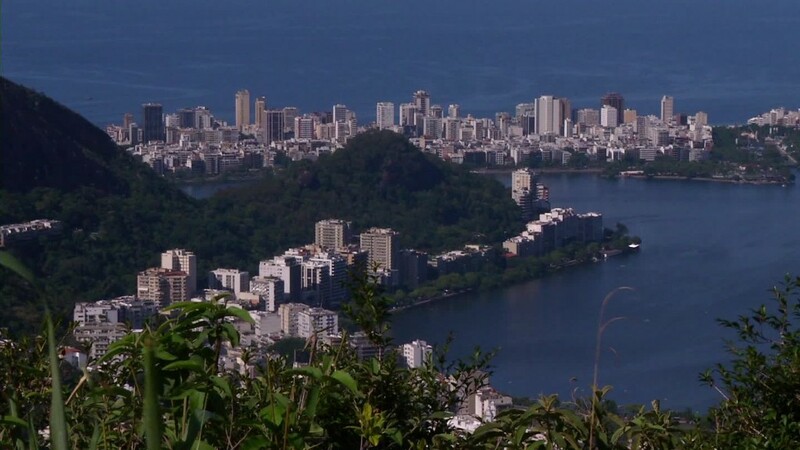 Investment fell nearly 12% in Brazil in the second quarter compared to a year ago, according to Capital Economics. Its currency, the real, has lost 25% of its value against the dollar so far this year. Imports have fallen about 12% from a year ago. For Brazilian companies that have borrowed in U.S. dollars, a plunging currency makes paying back the debt much more expensive. Long term, a lower value currency could help, says Shearing, the economist. Countries across the globe -- in Asia and in Europe -- use currency devaluation to make the exports look more attractive to foreign buyers and entice locals to buy products made in the country. Brazil's exports did go up 7% compared to a year ago. But it's too soon to get excited. Shearing warns the export figure nothing more than a "glimmer of hope," for Brazil's economic future. For now, Brazil's economy appears to be in a recession that could last well into next year, most experts say.